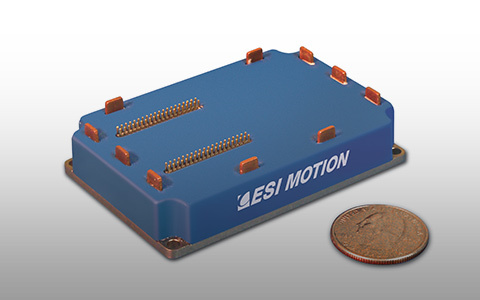 ESI Motion understands the need for dependable, rugged and high-performance servo drive modules in mission critical motor control systems. Our engineers focus on designing, testing and refining the best servo drives and power modules in the industry; and all our drives and modules are designed to maximize power, accuracy and reliability while minimizing space and weight. From extreme temperature and harsh environments to low temperature or high pressure, our drives are designed to perform. Servo drives direct motors to a set position, continually check the position using sensors and adjusts accordingly. 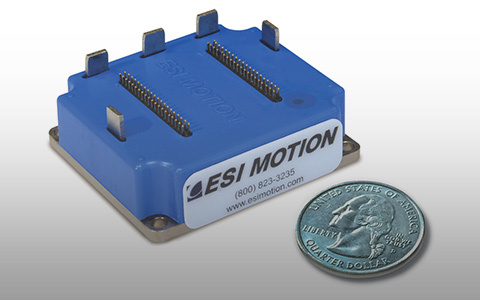 ESI’s servo modules are used in defense & commercial ground vehicles, aerospace, naval & maritime applications, energy, automotive, space, unmanned systems and other specialized applications and provide a critical method to exert detailed and precise control over an attack helicopter turret, robotic arm positioner, airborne antenna stabilizer, radar system or other motor-controlled system. 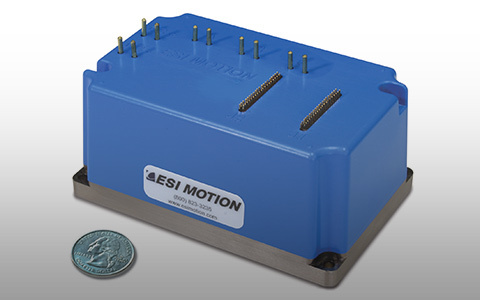 ESI Motion designs and manufactures high-performance, versatile servo drives and modules to excel in various specialized industrial applications and extreme environments. Our Dual Axis Mite servo module packs unparalleled power into a 3.7 oz or 105g drive that takes up less space than a deck of cards, while our ultra-compact Single Axis Mite is smaller than a match box and offers unparalleled power density. For more robust applications, our Scorpion module offers even more power in compact and durable packaging.